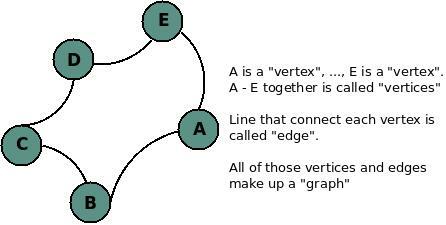 Graph database is a kind of NOSQL database which simply a term to show about the database management system software which is not a part of relational database. Since the scalability issues have arise and become a very big concerns for any company, this kind of database is getting more and more attention. People usually call this kind of needs on data scalability as web scale. Graph theory has a very broad range of application, not just in web and / or computer science. That said, I will not repeat the things that already written in Wikipedia, just have a look at the Wikipedia articles and found it by yourself. OrientDB comes with small size zipped file. It takes only around 2 MB for OrientDB or you may get OrientDB with all of Tinkerpop "standard" inside only with around 8 MB size. You will ask then, what is the difference between those two zip files? orientdb-version is the graph database software and only OrientDB, while for orientdb-graphed, is also consists of Tinkerpop thingie beside the graph database. Tinkerpop builds some software (open source) related with graph. You can use this graphed edition if you want to enable Tinkerpop abilities in your OrientDB database. It provides wrapper for OrientDB database so that you can use Tinkerpop related API in your software. There are 4 API supported by OrientDB: Blueprints, Gremlin, Rexster, and Pipes. In this article, we will use the graphed version. Installation is pretty easy, as long as you have JDK, then it should not be a problem at all. What you need to do is only unzip the file and set some enviroment variables. 2012-02-11 10:34:03:437 INFO [OLogManager] OrientDB Server v1.0rc8 is active.